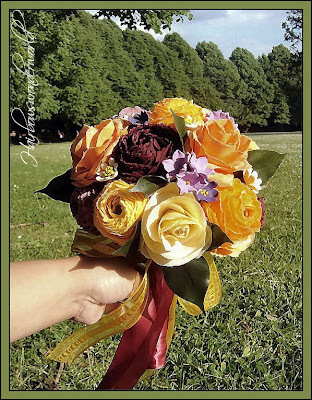 Fall Wedding, Fall Wedding.... I love the Fall with all of its rich, warm, rustic colours. 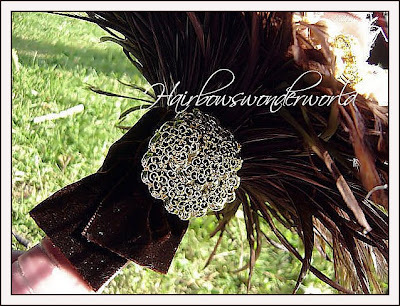 Needless to say I love to design for Fall Wedding!!! I always love Pink and Brown, so here came some new pink and brown designs. 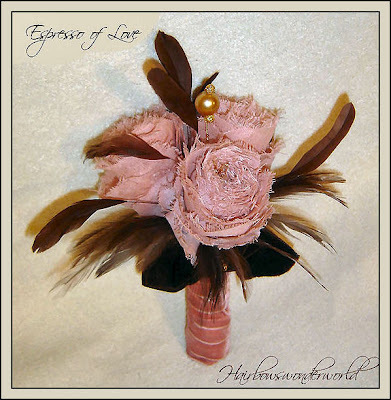 In "Espresso of Love" I used dusty Pink and chocolate brown coordinated with sparkling gold for an unreal dreamy antique look, but yet there is still something modern in it. That's the reason I love this one. I feel it so elegant and sparkly! 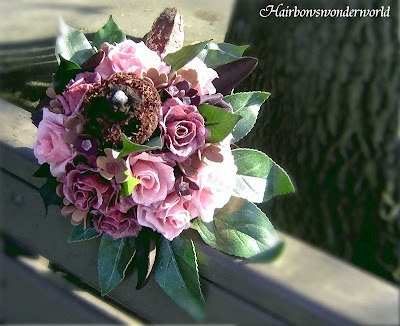 In this "Raspberry Mocha" I used however more "earthy colours". Still based on Pink and Brown, I added in here some diffrent tones of Plum and Tan. Chocolate brown pot pourri filler was a new find, too. 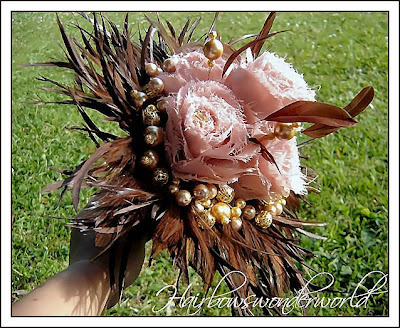 It added in the bouquet a sweet coffee smell and a kind of half funky half vintage look. I also love the green in this palette. OK, Pink and Brown are very inspiring, but talking about the Fall, we must also talk about those sunny warm gorgeous Orange, Yellow, deep Red and Purple . So here came some more Fall designs. 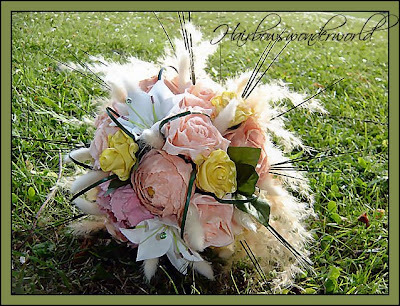 I used more of a pastel pallette in 'Rustic' - Yellow, Peach, Pink, Coral Pink, White with Roses, Peonies, Lillies and Ranunculus for a 'pastoral' look but really gave it a 'Fall Spirit' with diffrent types of grass and raffia. 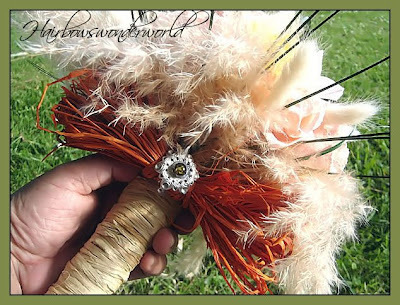 And a big deep orange raffia bow. The colourful, rich and warm orange and gold can be found here however in "Fall...ing in Love". Actually there are all sorts of Fall colours here, a party of yellow, gold, soft gold, orange, deep red, burgundy, lavender and purple. I used burgundy satin ribbon to wrap the stems and old gold organza for a bow and streamers. Again ther flowers are roses and ranunculus. The ranunculus is my new design, too. Totally made out of 100% cotton fabric, each ranunculus has about 60-80 petals, each petal is cut by hand - so much labor and time consuming but the effect is great! 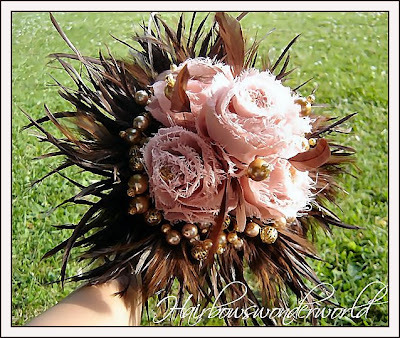 If you're interested in my bouquets, come check back my blog from time to time. I've got more Fall designs to come soon.